ALLEGRA BOVERMAN/Staff photo. Gloucester Daily Times. 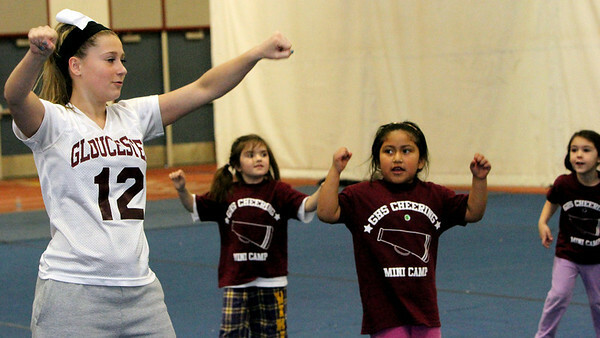 Gloucester: Almost 60 girls participated in the Gloucester Cheer Mini Camp this past week and they held a show for parents and friends on Thursday at the Gloucester High School field house. From left are sophomore Samantha Ryder with C1 team participants Malia Andrews, Ani Stephan and Ella Frontiero, all 5.